Oops — That’s really Murray K. Hill where Frank Coombs’ photo should be (from a scrambled 1911 U-S Everlasting ad). 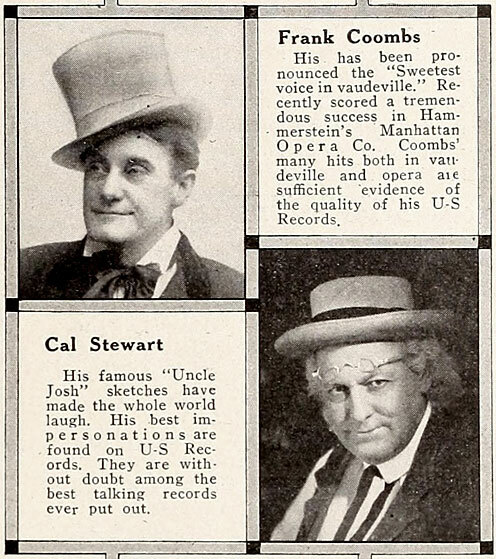 Then there’s the “Murray” vs. “Murry” debate; it turns up both ways on records and in catalogs, playbills, and news reports. No matter, it’s not a real name anyway (Hill was born Joseph Tunnicliffe Pope).